ThinkHammer: What will Apple announce tomorrow? Hopefully not Ovaltine. What will Apple announce tomorrow? Hopefully not Ovaltine. There is a nice looking tease page on the Apple website today. 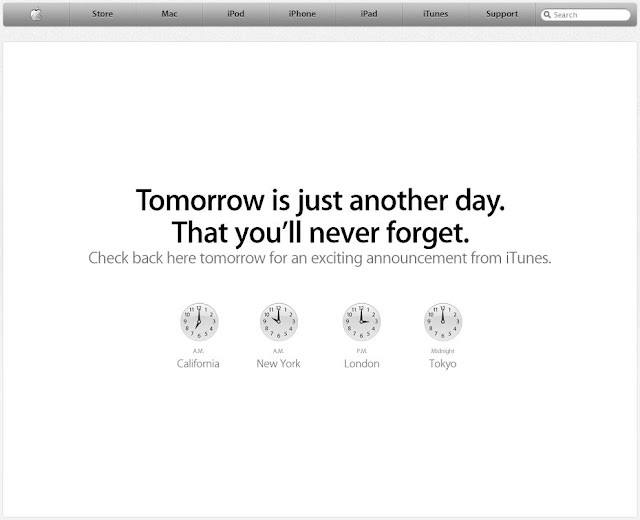 It promises that tomorrow's announcement is something we're going to remember. Nice job, guys. It certainly got my attention. I hope it's not about Ping. If so, I'll feel like that kid in a Christmas Story who discovered that his carefully decoded secret message was an advertisement for Ovaltine. I'd say we've got a 50/50 chance that the announcement is Ovaltine.